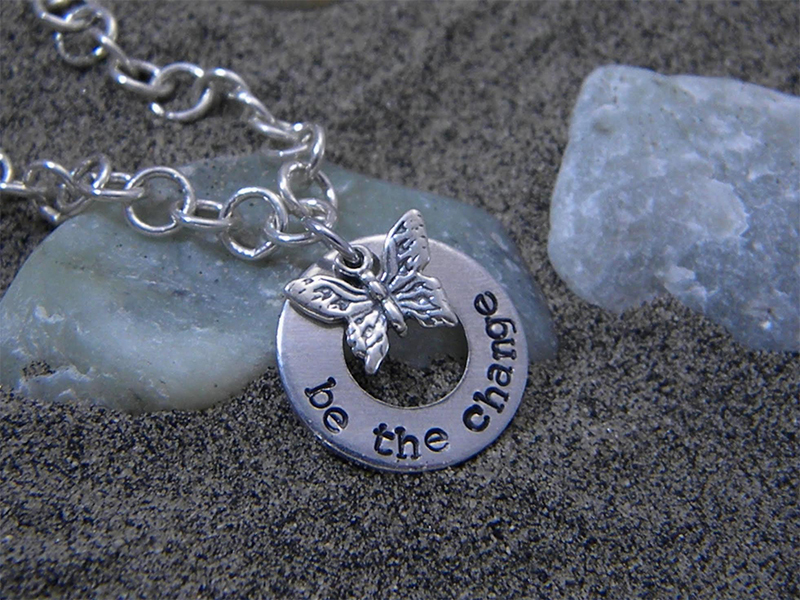 Show your support and style with this “Be the Change” Small Pendant by Elle & James. This beautiful pendant is hand made to support the Butterfly Effect cause. 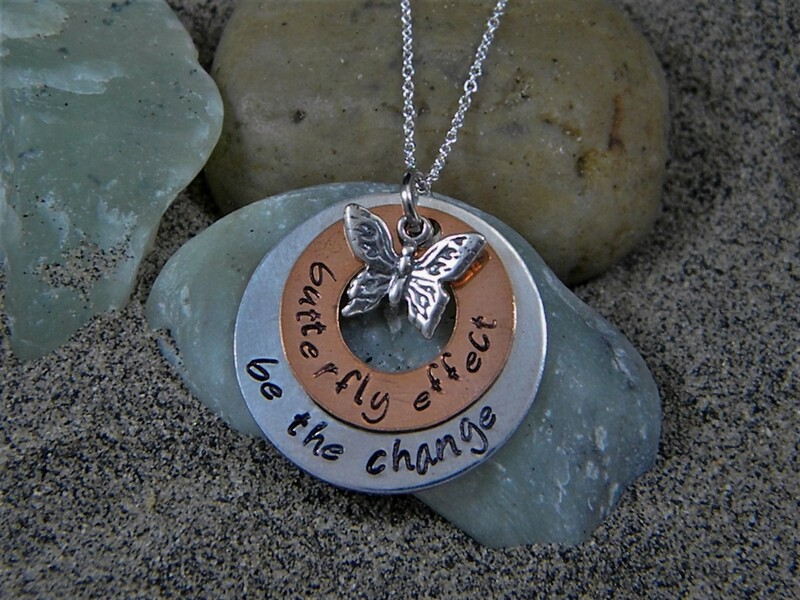 Show your support and style with this Butterfly Effect Be the Change Logo Small Pendant by Elle & James. This beautiful pendant is hand made to support the Butterfly Effect cause. 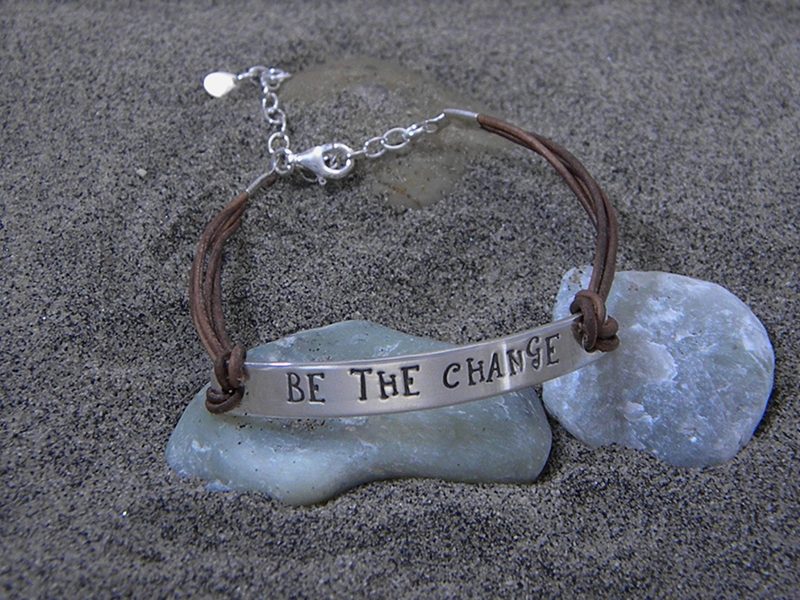 This bracelet is a great way to keep the motto “Be the Change” close to your heart. 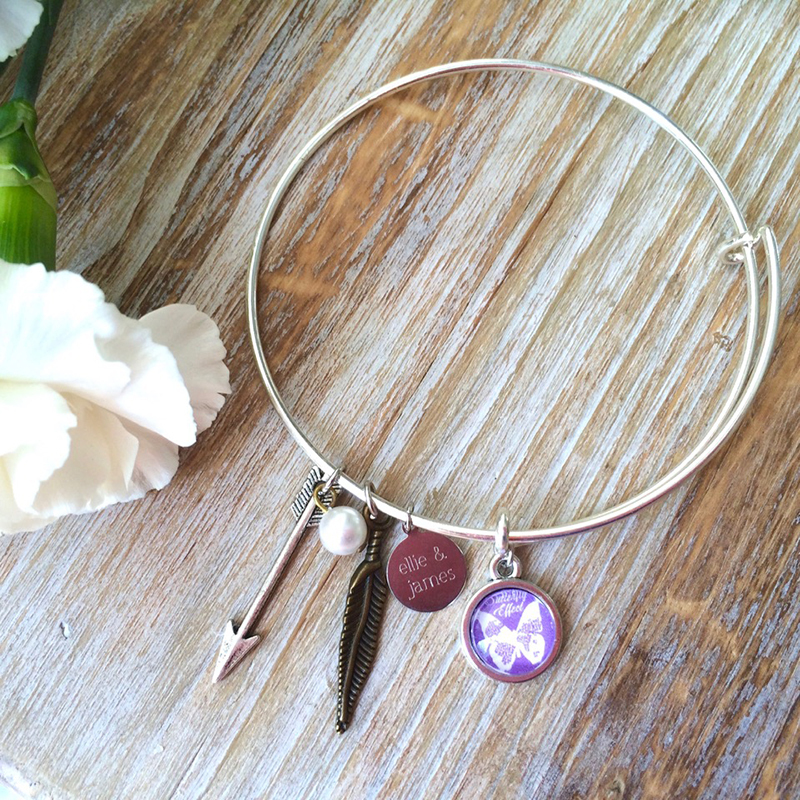 Topped with a little sterling silver butterfly charm. Please note that the butterfly may differ slightly based on availability. 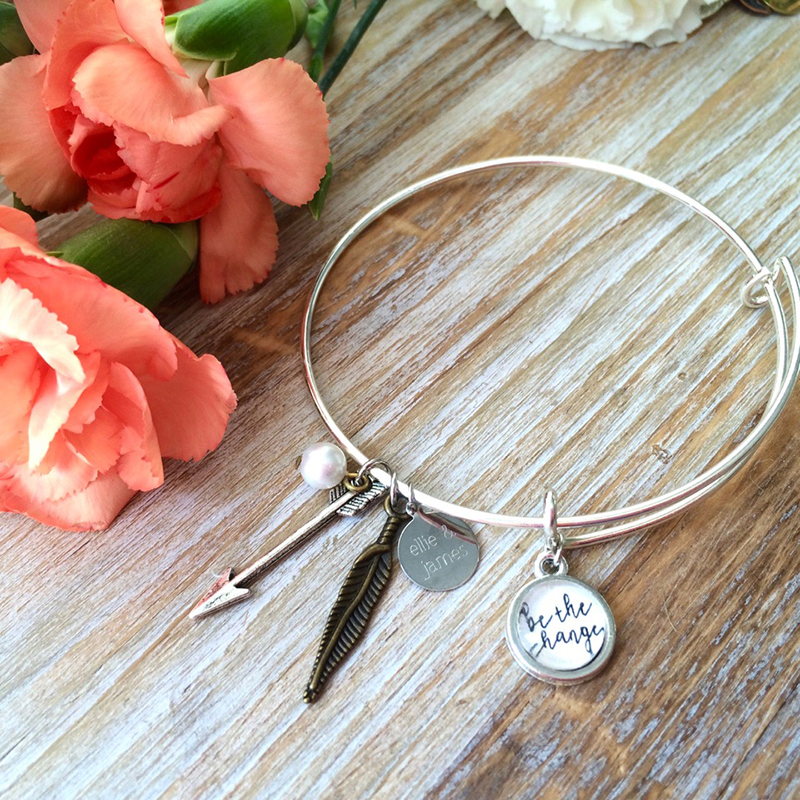 A daily reminder to make a difference with this beautiful bracelet by Purple Pelican Designs. 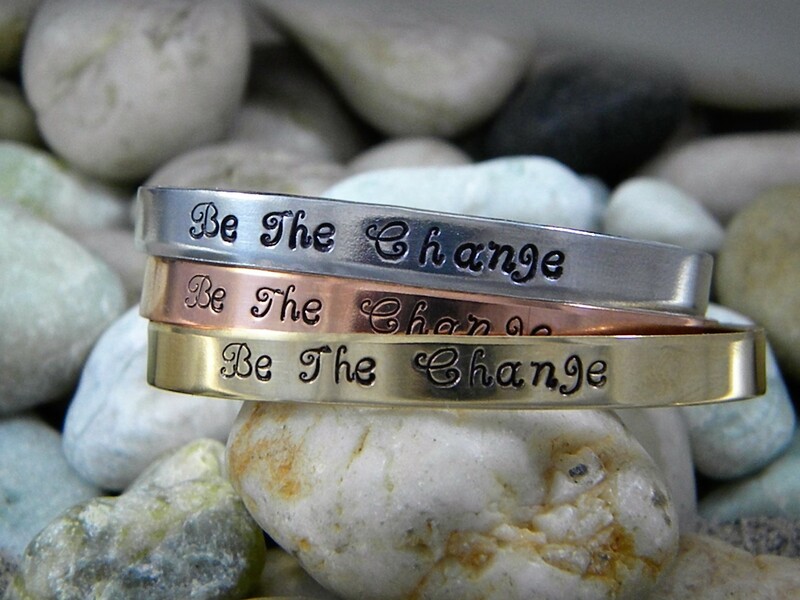 This bracelet is hand stamped with “Be the Change”. 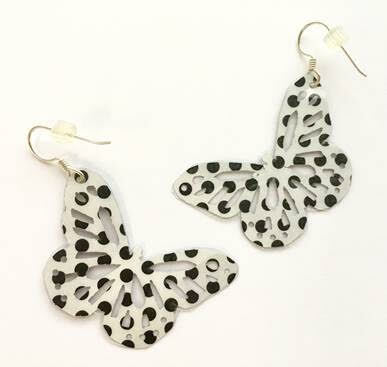 Show your support and style with these “Be the Change” polka dot earrings! 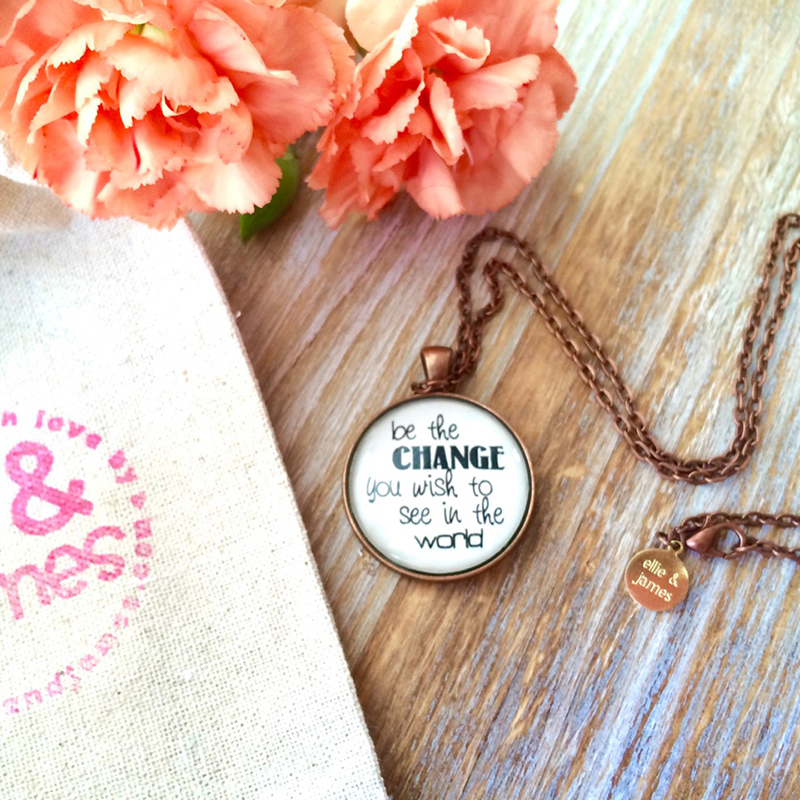 Show your support and style with this “Be the Change You Wish to See in the World” Large Pendant by Elle & James. This beautiful pendant is hand made to support the Butterfly Effect cause. 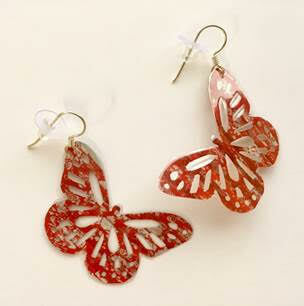 Show your support and style with these “Be the Change You Wish to See in the World” red earrings! 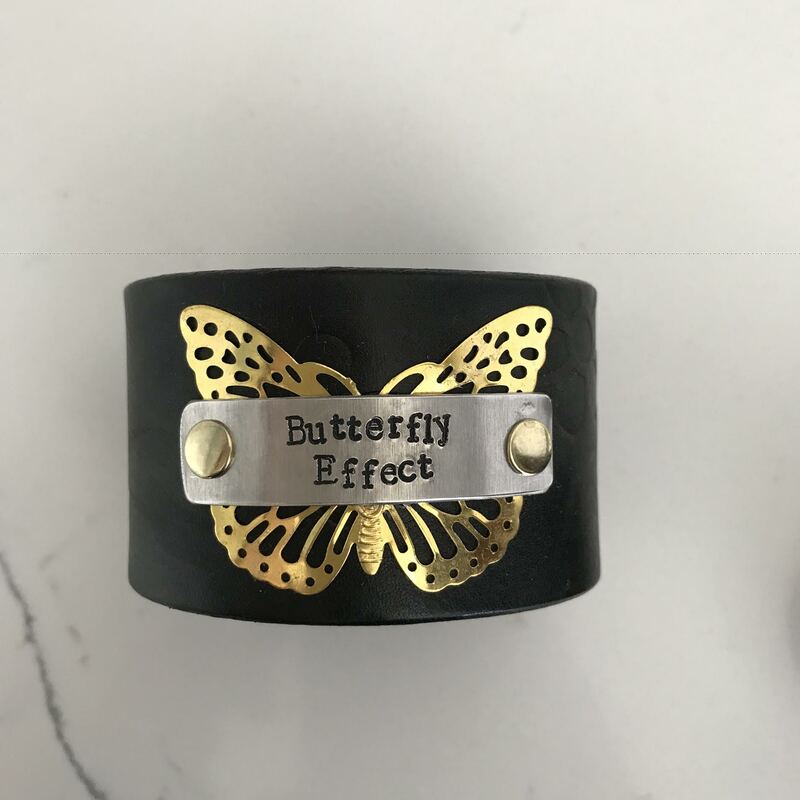 Wide genuine leather butterfly effect cuff bracelet makes a bold statement! 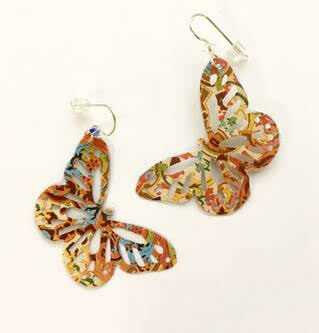 Show your support and style with these Butterfly Effect “Friendship” earrings! 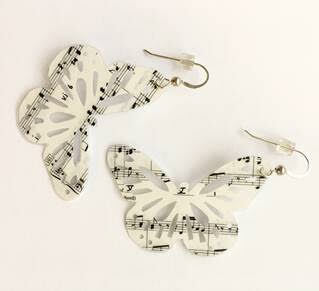 Show your support and style with these Butterfly Effect “Music to Your Ears” earrings! 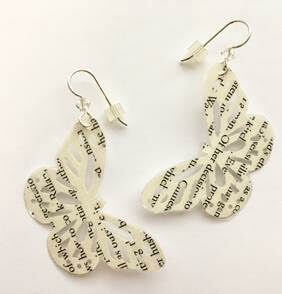 Show your support and style with these Butterfly Effect “Poetry in Motion” earrings! 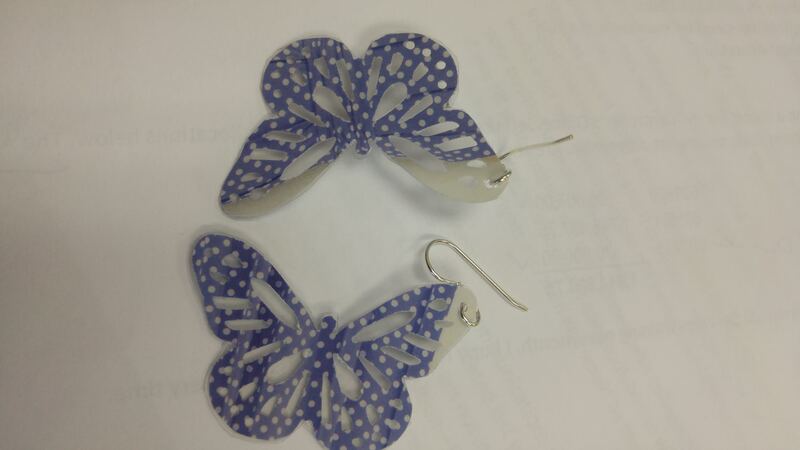 Show your support and style with these Butterfly Effect “Serenity” earrings! 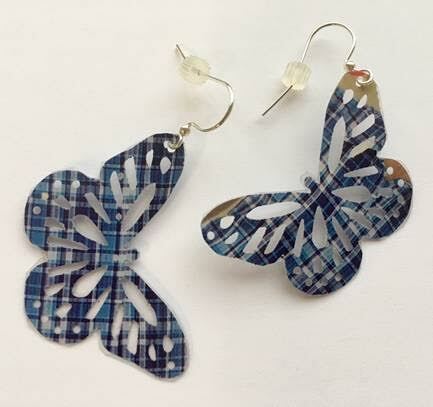 Show your support and style with these Butterfly Effect “Spread Kindness” earrings! 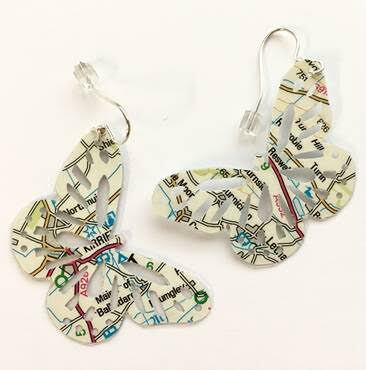 Show your support and style with these Butterfly Effect “Wanderlust” earrings! 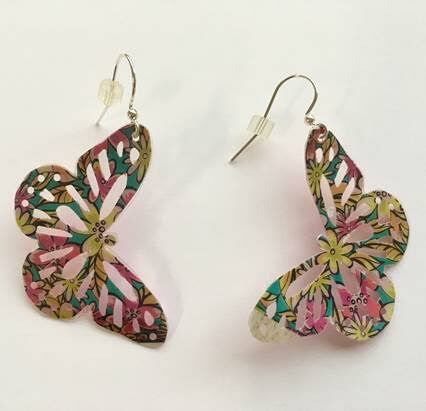 Show your support and style with these “Butterfly Effect” Pink Flower Earrings! 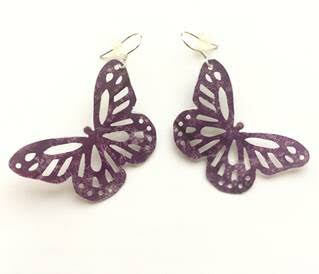 Show your support and style with these “Butterfly Effect” Purple Flutter Earrings! We all have Dreams…. some dreams are bigger than others that is true, but we all have them. Thank goodness! This almost 1 3/4 inch piece of Haitian sea glass has a very slight blueish hue. It isn’t quite white and it isn’t blue. It’s fresh and DREAMY! 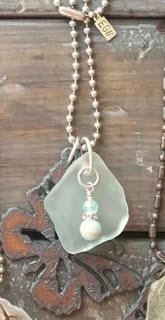 The glass is accented with an Amazonite charm topped off with a light blue crystal and it all hangs off a 34 inch steel ball chain. The back is finished off with a hand-stamped, Sterling EGW tag. Let this piece be a reminder to the dreams that you hold dear and to also remind you that you could be the catalyst to someone else’s dream. Be the change that you wish to see in the world and never stop dreaming. 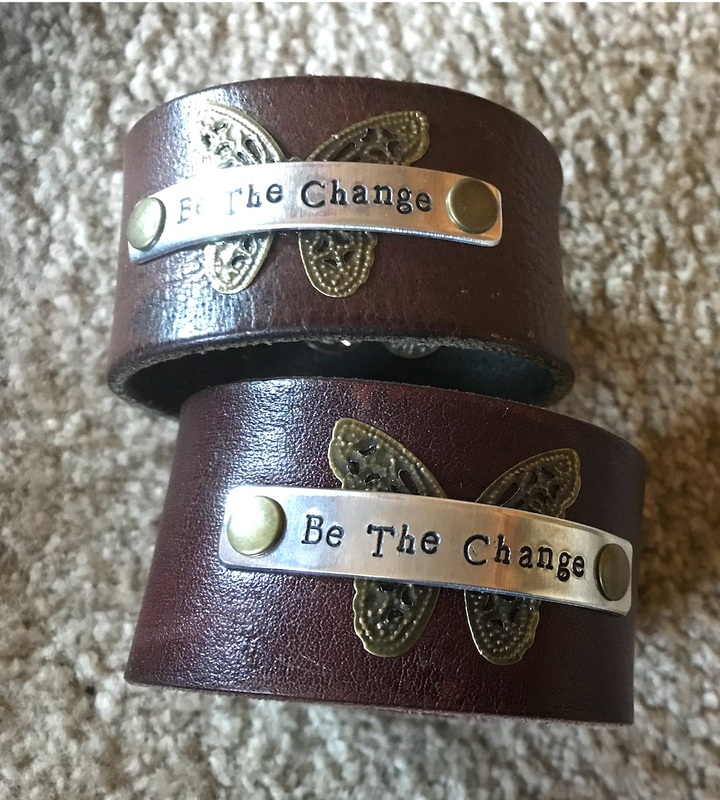 The perfect addition to your everyday wear is this fabulous hand stamped Be The Change cuff bracelet. Choose from aluminum, copper, brass, or sterling silver or stack them up together for a bolder look. 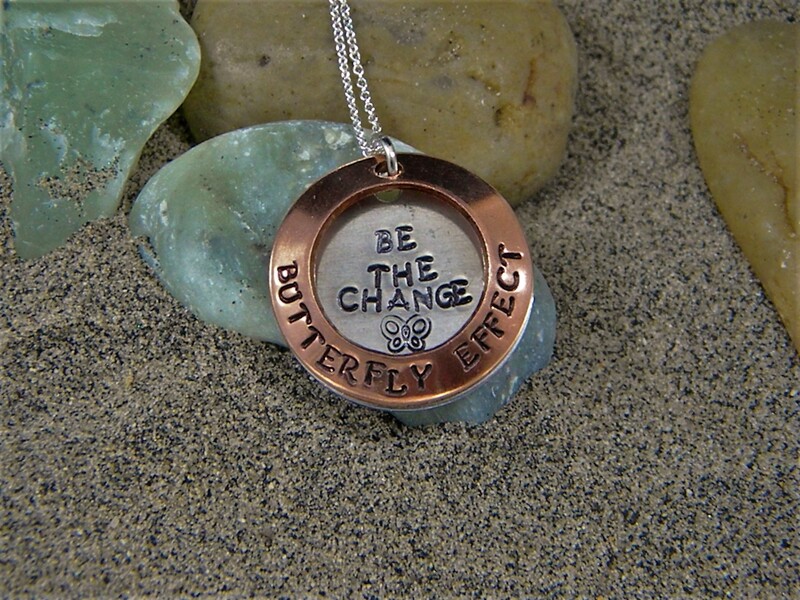 Show your support with this beautiful hand stamped Be The Change, Butterfly Effect necklace by Purple Pelican Designs. You’ll stand out with class and style with this aluminum and copper necklace! 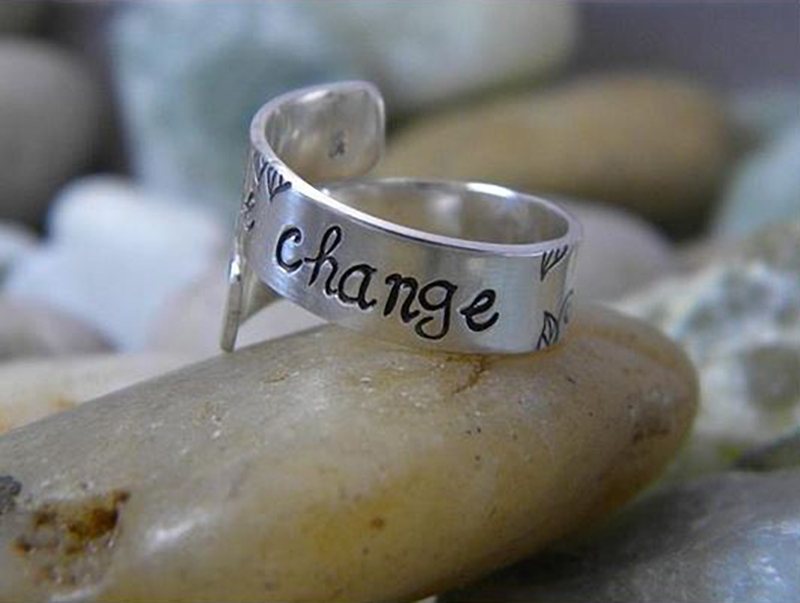 This beautiful ring is hand stamped with a shortened version of a famous quote from Mahatma Gandi. 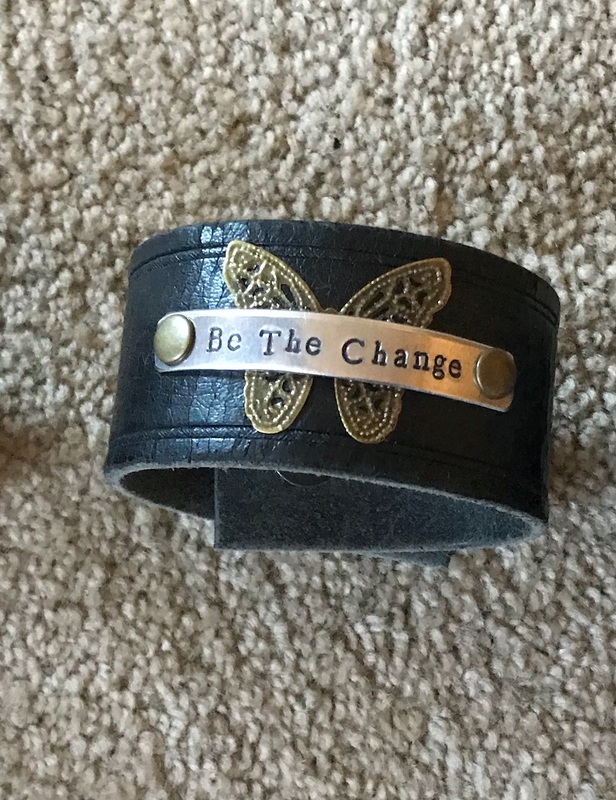 It says “be the change”. I added lots of flowers, leaves, and vines too. This necklace makes a great addition for any girl or woman! 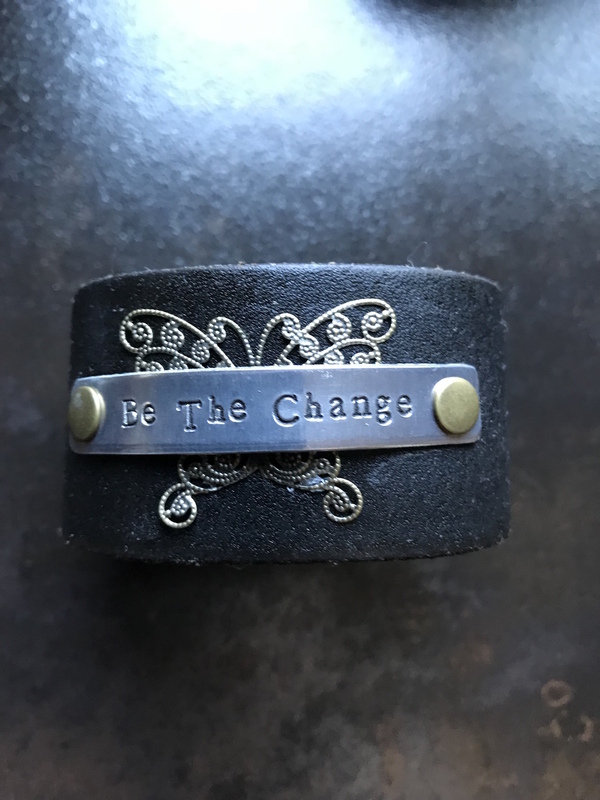 Show your passion for the Butterfly Effect Movement with this hand stamped necklace, topped with a beautiful sterling butterfly charm. We all love for things to be one of a kind… and we certainly as human beings are DEFINITELY one of a kind. Here is your chance to wear something that is just that as well. An opaque, 1 inch, piece of Haitian see glass adorns the front of this sweet steel butterfly. 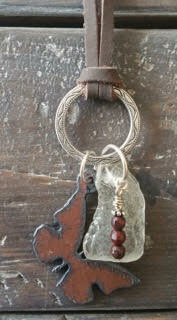 The hand-made charm in front is a triplet of Brown Obsidian and brings out the brown and rusty colors of the piece. These one of a kind charms hang off a detailed silver ring and fall gently off genuine deer skin leather. Length is approximately 34 inches. The back is as detailed as the front. Here at Emmaus Glass Works we think that is important too. A rope jump ring hold a Sterling silver, hand stamped, EGW tag. Each tag is slightly different than another and proves that each piece is 100% unique. Be unique yourself and make your unique mark in the world. 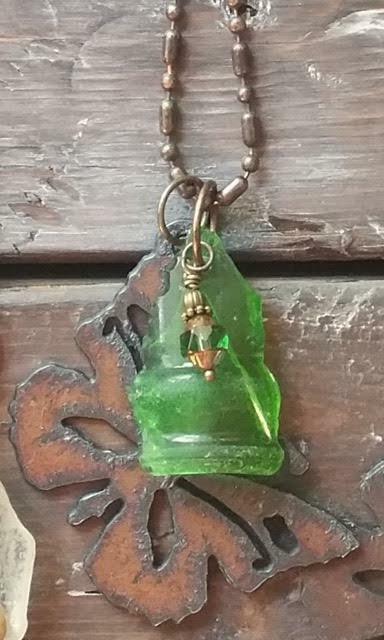 The top of the bottle is quite obvious in this gorgeous Haitian sea glass piece of art. You can’t miss that it is the spout of a bottle of a refreshing & replenishing drink! Isn’t that the way we feel when we help others?! Filled and rejuvenated?! A handmade Czech glass charm hangs in the front to add a little bling and it all hangs off 34 inches of oxidized bar-ball chain. 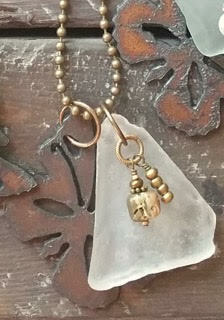 In the back you have a hand-stamped, oxidized copper EGW tag. 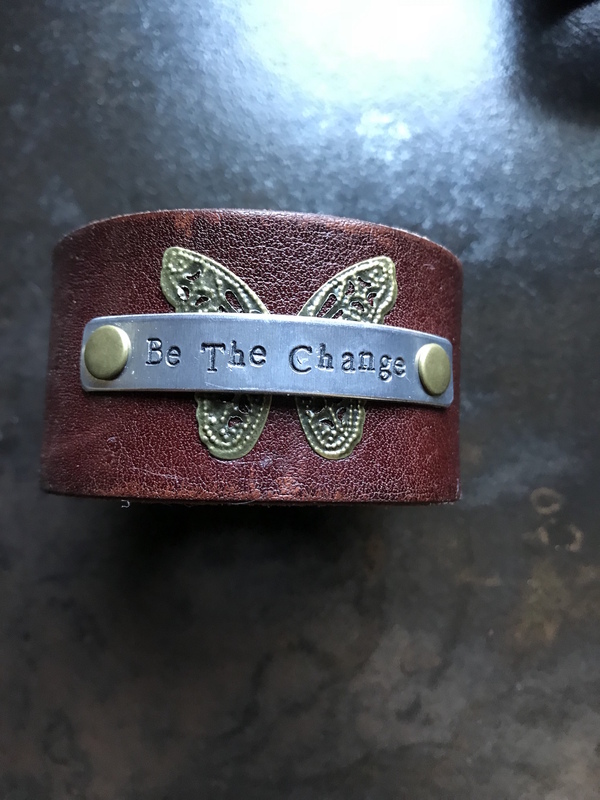 Be the change you want to see in the world and let this piece be a reminder that YOU could be that “drink” of support that someone needed that day to look at the world in a more positive way. A stunningly large piece of Haitian sea glass that measures in at around 2 1/2 inches sits on top of a gorgeous large metal butterfly. 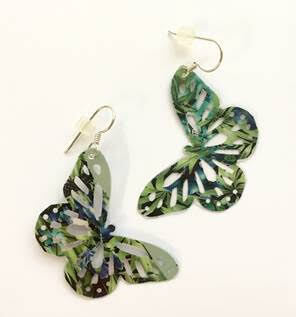 The contrasting colors of the darker butterfly and the large opaque glass bring your attention the the 2 hand-made charms that lie in front. One is a rugged, squared off seashell that boasts some cool earthy tones and the second is a stacking of Indian metal beads. The simplicity of one charm accents the details of the other. Just like people EACH person is different and each person has their particular gifs. Let your gift be a blessing to another and make a positive change in the world each day. This work of art all hangs off of antiqued ball chain and is 34 inches long. Detailed in the back with a hand-stamped, oxidized copper EGW tag.